Radiology will be in the spotlight on November 8, as radiologists celebrate the International Day of Radiology (IDoR) through a series of events and information campaigns to help the public better understand the role of medical imaging in healthcare. The theme of IDoR 2014 is brain imaging. 2014 marks the third IDoR, and for the first time, five African radiology societies, representing 26 countries, will take part, in addition to over 60 European, 20 North American, 12 Latin American and 11 Asian radiological societies. Many societies will organise their own activities, such as press conferences, public lectures, media outreach and open days at hospitals to help build greater awareness of the value of imaging in brain disease detection, diagnosis and management. Patient organisations have again been invited to take part and will inform the public of radiology’s relevance in fighting brain diseases. “This year’s IDoR, focusing on brain imaging, should highlight that radiology also plays a role in the management of brain disorders – and it is not just the domain of neurology. IDoR should also provide an example of best practice in highlighting collaboration between health professionals and patient organisations,” said Donna Walsh, Executive Director of the European Federation of Neurological Associations (EFNA). The Stroke Alliance for Europe (SAFE) supports the initiative and hopes it will shed a light on imaging’s role in stroke management. “The problem with stroke is the lack of information and education in how to prevent, recognise and proceed. More awareness is needed on the potential role of radiology in the diagnosis, management and treatment of the various neurological disorders. IDoR can help if it speaks in the patient’s language, and tries to inform about the need to call first aid immediately and to be within the shortest time in a stroke unit, where important treatments are routine work,” said Manuela Messmer-Wullen, SAFE liaison officer and President of the Austrian Stroke Self-Help Association (SHÖ). The ESR Office has produced two booklets together with international prominent experts. One of the booklets has been created in cooperation with the European Society of Neuroradiology and covers the role of imaging in the five major diseases of the brain: brain tumour, stroke, Alzheimer’s disease & dementia, Parkinson’s disease and multiple sclerosis. It contains chapters on research in brain imaging and radiotherapy in brain malignancies written by experts chosen by the American College of Radiology and the European Society for Radiotherapy & Oncology. The other book has been produced in cooperation with the International Society for the History of Radiology, the third volume of the Story of Radiology, which continues the series launched in 2012. The chapters of the book focus on topics as varied as the origins of medical physics, Marie Curie and the Radium Institute, the history of MRI, photography and radiology, and military radiology during the First World War. IDoR is an initiative of the ESR, the Radiological Society of North America (RSNA) and the American College of Radiology (ACR), who chose November 8 to commemorate the day Wilhelm Conrad Röntgen discovered x-rays in 1895. The initiative has received the renewed support of radiographers, who also celebrate World Radiography Day on the same day. IDoR’s objective is to draw public attention to the medical and scientific benefits of medical imaging and the level of expertise required to practise radiology. “The International Day of Radiology is a unique opportunity to stress the relevance of our discipline in healthcare not only to the public and the patients, but also to the health policy decision makers. This year, we are particularly happy to welcome a larger number of national societies, whose contribution is crucial to the development of the initiative,” said Professor Lorenzo Bonomo, ESR President. 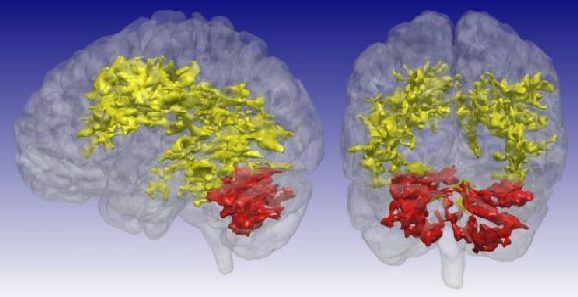 National societies have become very involved in IDoR, and as many as 30 European and seven Latin American societies have appointed an expert to answer some of the patients’ most frequently asked questions about brain imaging. These interviews will be published on the IDoR website and distributed by the participating societies. IDoR has received the full cooperation and involvement of the International Society of Radiology, as well as umbrella organisations from all continents, including the Asian Oceanian Society of Radiology, the Colegio Interamericano de Radiología, the Royal Australian and New Zealand College of Radiologists, and the Radiological Society of South Africa, which also represents neighbouring countries, as well as the European Federation of Radiographer Societies.